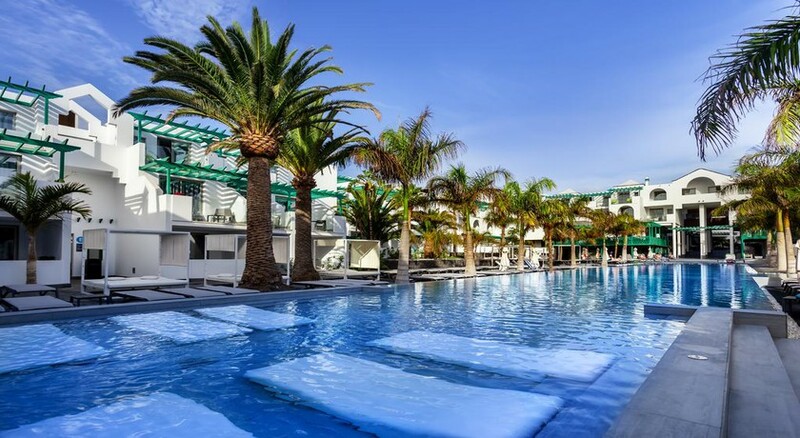 The totally renovated 4* Barceló Teguise Beach for adults only offers an elegant style with spectacular views.The rooms include a new concept, the B-Room, fully equipped and inspired by traditional local architecture. 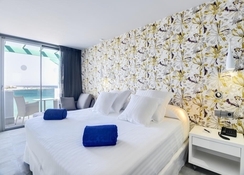 Most of the rooms have whirlpool baths either indoors or on the terrace.The hotel has revised its whole cuisine and offers a modern, cutting-edge style in all its bars. In addition, several activities and new services for adult guests have been added, including a superb U-Spa, 2 Infinity swimming pools, a gym and other facilities. 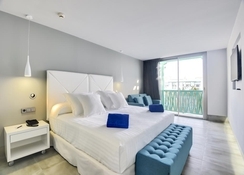 Located on the paradise island of Lanzarote in the Canary Islands, overlooking the sea, 150 m from Playa de las Cucharas and in the heart of Costa Teguise. Completely new and of a modern design, guaranteeing the highest level of comfort. B-room (26 m2) in an ultra-modern style, completely refurbished and offering the highest standard of comfort. Superb design and comfort are the key features of these 30 m2 B-Rooms. Ultra-modern design, totally refurbished and with the option of a sea view. Modern, spacious (45 m2), and totally refurbished BRoom with the option of a sea view. Equipped to offer you the highest level of comfort and relaxation with a sofa or armchairs. Buffet Restaurant with show cooking. The ideal choice if you want to try traditional Canary Island or Asian cooking. The restaurant also offers a varied international cuisine. Offers a sophisticated chill-out ambience with Balinese beds where you can enjoy various salads, hot or cold snacks, a delightful innovative à la carte Mediterranean menu, or the chance to sip a cocktail in the swimming pool. The perfect place to enjoy an informal lunch during a pleasant day by the pool. Situated right next to the Reception area, this Bar offers a full range of soft drinks and cocktails. It has a small outdoor terrace and a welcoming, relaxing indoor area. In our Spa, we aim to do everything we can to help customers feel totally at ease while they take advantage of one of our assorted treatments, whether relaxing in the sauna or indulging body and mind in our gym and water circuit area. The hotel has a 60 m2 events room with space for up to 24 people. windsurfing enthusiasts or fans of any type of water sport. Everything about the hotel was superb. I would defiantly recommend the Barcello to anyone looking for a quiet relaxing chilled holiday. The only thing that could be improved in my opinion would be to have more authentic entertainment, rather then the same Beatles ABBA tributes etc. Enjoyed a week at this hotel. Food excellent with a vast choice every evening and at breakfast. I liked that there were Spanish specialities. Only disappointment was the usual scramble for sun beds every day with so many people leaving towels and belongings for hours before finally actually using the beds.